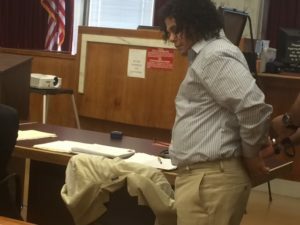 A Jersey City jury deliberated just 24 hours before finding Yusuf Ibrahim guilty of murder and numerous other charges Wednesday for the double decapitation killing of Hanny F. Tawadros, 25, and Amgad A. Konds, 27. 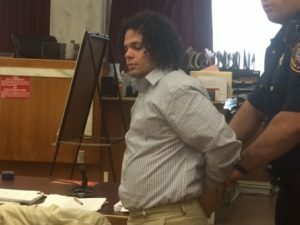 The jury sent notes to Hudson County Superior Court Judge Mitzy Galis-Menendez this morning for clarification about the additional charge of robbery against Ibrahim, alleging that stealing money and jewelry was also a motivation for the killing. He admitted to using a scissor and hacksaw to cut off the men’s heads and hands, as well as a wrench to knock their teeth out to prevent identification of the bodies. Then he buried their remains in South Jersey. 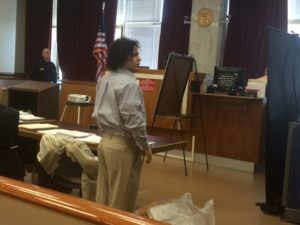 Ibrahim was found guilty of two counts of murder, two counts of theft, two counts of desecrating human remains, two counts of possession of a firearm for unlawful purpose, two counts of unlawful possession of a handgun, two counts of hindering apprehension or prosecution and two counts of tampering with physical evidence. 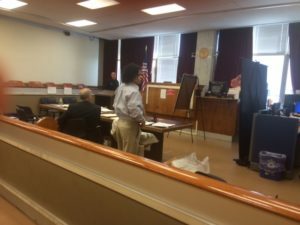 He faces up to two life sentences when he is sentenced September 22. Former pawn shop owner Jason Wagner testified he saw Ibrahim the night of the crime as he sold the victims’ jewelry. He says the 31-year-old looked dirty, his eyes were teary and discolored and he didn’t feel safe around him. Forensic scientists shared the results of DNA tests conducted on a saw blade used to behead two men in Jersey City in 2013 as the trial of Yusef Ibrahim continues Wednesday in Jersey City. The bullets which killed the pair were also analyzed by a ballistics expert. 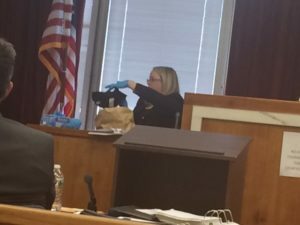 During previous testimony, Cortney MacDonald, a New Jersey State Police forensic scientist testified that blood from the handle and gripper of the shovel found at the Buena Vista property (Atlantic County) had undergone DNA testing. MacDonald also addressed many other crime scene items where DNA testing was conducted.